If you are interested in beauty, style and enjoy working with people. Then Anoos is the right place for you. Anoos has been training students in the field of anaesthetics, cosmetology and various other beauty therapy courses since 2016. We are committed to provide the highest quality beauty education with practical hands on learning and we wish to see you reach your full potential within the beauty industry. We maintain highly skilled and qualified teaching staff and we firmly believes that education, information and experience is the key to success. At Anoos we provide strong educational foundation and necessary skills to the students with up-to-date training. To get first hand information about our courses, feel free to visit any of our 3 branches (Hyderabad, Vijayawada and Visakhapatnam) of AIBS. Speak to our friendly faculty, staff and students and see how our career programmes run. The school has students from all corners of the globe. 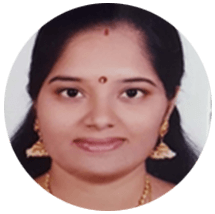 I am Aishwarya from Secunderabad. I have done with my graduation and further, I wanted to continue my studies in beauty field and searched for many institutes and found Anoo’s as the best and visited it. There I found many beauty courses in which I liked CIDESCO which has a very good and bright future, as the course is internationally reputed and recognized. Here the faculty are friendly and clarify the doubts with patience. 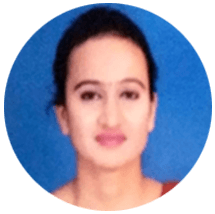 Regular seminars are conducted through which we can learn many new techniques in Cosmetology field and the institute environment is very healthy and now I want to pursue my M.Sc. in Cosmetology too from Anoo’s International Beauty School. I suggest all the students who are interested in the beauty field to take admission in Anoo’s and have a bright future. Thank you Anoo’s for giving me the opportunity to grow in my career. Hi, I am Deena from Malaysia. It has been a lifelong dream of mine to become an Aesthetician. 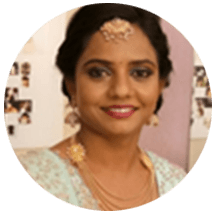 I have always been passionate about the beauty industry and it has been fulfilled when I joined CIDESCO Diploma course in Anoo’s International Beauty School, Hyderabad India. After months of searching and enquiring for beauty schools, I found Anoo’s to be the best choice as it has all the requirements and aspects an Aesthetician needs. This Academy has educated me in various aspects – discipline, maintaining hygiene and professionalism with clients. Thank you Anoo’s for everything. I am Simija Rao and I am from Karimnagar. I was very passionate about beauty world and all of the cosmetic stuff. After communicating with family and friends, many of them suggested me Anoo’s. So I visited Anoo’s International Beauty School and found the campus to be really good. There is a good & healthy environment here. The staff here is really very positive and highly educated. They conduct really good seminars frequently and they are really very beneficial. So, I learnt many things about the cosmetology. Anoo’s has become a part of my life and I am confident that I would achieve my goal with the help of Anoo’s. Thank you, Anoo’s. 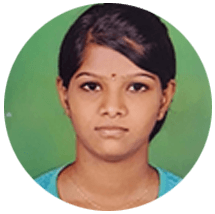 I am Snigdha Reddy from Vizag.I am interested in beauty field and after graduation started searching for options at my place and then browsed through the internet for best institute for a professional learning. Finally I found Anoo’s International Beauty School as highly rated institute and made a contact with the institute and found that they have a branch in Visakhapatnam.Then I took admission in Advanced Diploma in Cosmetology Course and found the fees to be very reasonable than other colleges. The course is for 6 months. I learned a lot in the institute. The faculty here is very friendly natured. They helped me in every topic which I found difficult and simplified for me. They would bring out our skills and creativity in the students. We had different classes like make up, hair, nail art, etc, and it was very helpful for me. 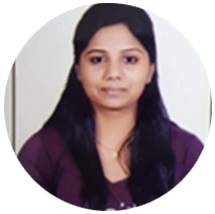 I was very tensed before joining the course, later as I advanced during the course I grew very confident and overcame my stage fear as we were provided with the good exposure here. I happily completed my diploma and with my further interest I joined in International CIDESCO course. It is a very interesting course. We have many job opportunities in India and abroad too. I am very thankful to management and faculty here and I suggest to the students who are interested in beauty field to join ANOO’S and have a bright future. Finally, thanks to heads of Anoo’s for having started the school and helping many students like me in creating their success-stories. Feeling proud to be a student of Anoo’s. 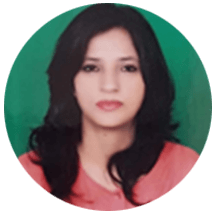 I am Neelam Guleria, I was a student of Anoos International Beauty School 3 years ago. I had done Basic Makeup course at Anoo’s. Previously I was not very confident about myself in doing anything. Anoo’s not only taught me the subject but also instilled confidence in me. 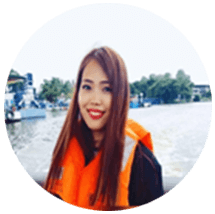 After completing the course I am very much confident to handle customers and give them satisfactory services. Thanks to Anoo’s from the bottom of my heart for giving me a new lease of life. Hello! This is Sagarika. I took training in Anoo’s for 6 months. During this short period of time I have learnt a lot of things like various types of skin treatments, bridal makeup, etc. Now I am able to get good confidence to start my own salon. With the help & support of Anoo’s staff, I achieved new career in my life. This is a happy moment for me. Thanks a lot for all Anoo’s staff members, their hospitality was very nice and they always welcomed people with a great big smile. After completion of my course I can clarify doubts of others without any hesitation. Finally I can say that the training here would help a woman to build a good career in their life. 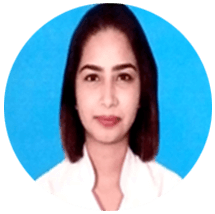 I am Aishwarya Raj from Hyderabad, I have done my Advance diploma in Cosmetology course in Anoo’s International Beauty School in 2012 and found the course to be very useful for my career. I want to thank Anoos for coming up with such exciting courses. 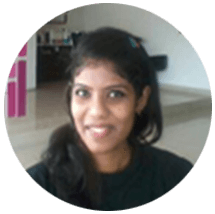 I came from North India and I had a dream to be a specialist in the art of beauty. So, to got my dream fulfilled, I have started searching for the best institute and found Anoos to be the best. Anoos gave me the knowledge and confidence which would help me achieve great success in my life. I will never ever forget the care, concern and attention which I received from the faculty. Love you Anoos. You are the best. We are providing service for more than 37 years in the market. We are committed to provide the best tailor-made service to our esteemed customers.